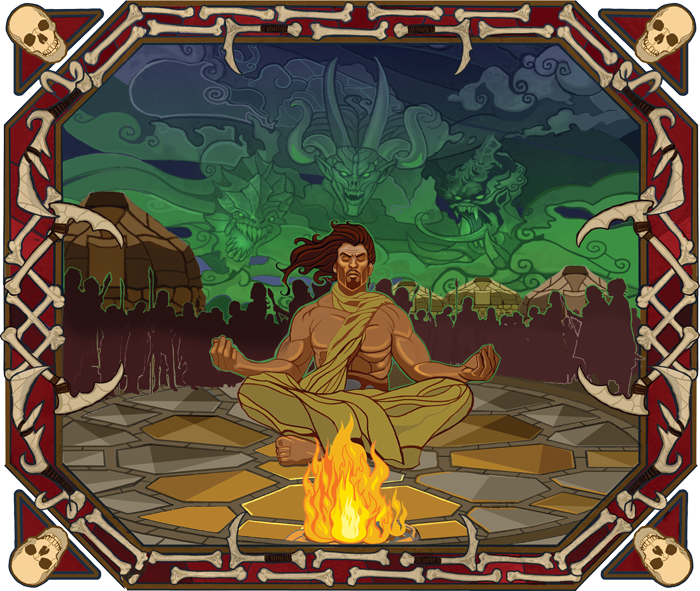 The world of Mennara is dangerous, while many of its inhabitants fashion themselves as heroes, few have the skills necessary to stand up to the legends of old. Though a brave heart, a quick mind, and a disciplined body are essential to becoming a hero, it is a warrior’s talents that make them truly exceptional. Talents are an essential part of creating your own unique character, and Realms of Terrinoth introduces sixty brand-new options, perfect for both Terrinoth or any other fantasy-inspired setting! Today, Designer Tim Cox helps us preview the new talents found in Realms of Terrinoth, a fantasy-themes sourcebook for the Genesys Roleplaying System. The Genesys Core Rulebook contains plenty of talents that work for all sorts of settings, but we wanted to give players even more options for building characters in the world of Terrinoth or their own fantasy settings. With that in mind, we set out to create a broad range of new talents, some strongly connected to Terrinoth and others versatile enough for players to use in a variety of settings. In fact, Realms of Terrinoth includes more than sixty new talents! With Genesys, you can play in any setting you can imagine. One of the best ways to differentiate a setting through rules is by the talents available. If you’re a Game Master preparing a setting, in addition to choosing suitable talents from the core rulebook, creating new and unique talents can really help bring it to life. Talents are a particularly effective way to communicate the tropes of a setting because players engage with talents directly—and generally get pretty excited about doing so! So that’s exactly what we tried to do with the talents in Realms of Terrinoth—bring the world of Mennara to life and get players excited to spend their experience points. Many of the talents in Realms of Terrinoth can fit comfortably into any fantasy world, so you can easily use them in your own settings. 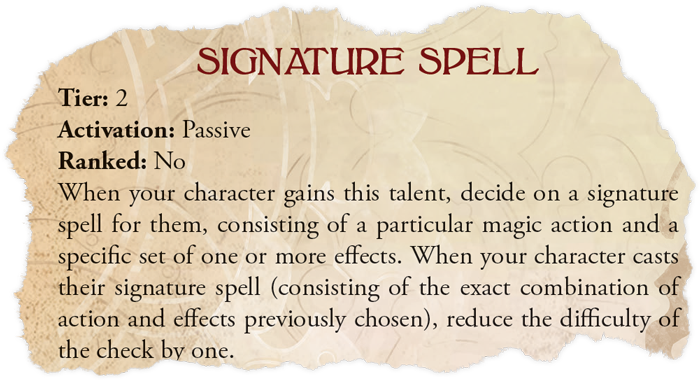 Signature Spell is just such a talent. It ties into a particular trope common to fantasy settings—magic, in this case—but is not so specific as to be unique to the world of Mennara. Many fantasy stories feature heroes famous (or infamous) for specific feats of magical ability. 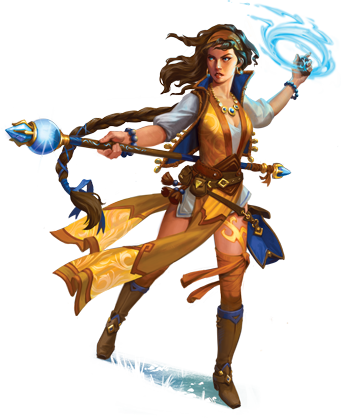 A character with the Signature Spell talent still has the full versatility of the Genesys magic rules at their disposal, but they get a mechanical benefit—reducing the difficulty of the check—whenever they cast their signature spell, whatever it might be. If your character’s signature spell is a fireball consisting of an Attack spell with the Blast and Fire effects, they can still add the Empowered effect, but this kind of super-fireball is no longer their signature. Talents can also feature details that clearly tie them to a particular setting, helping players to immerse themselves in that world. Realms of Terrinoth has a number of talents like this, reflecting unique aspects of the world of Mennara. Take Flames of Kellos, for instance. The name of this talent evokes a central aspect of one of the most revered deities of Terrinoth, while the mechanical effect is a clear reminder of the divine abilities his priests are known for. Further, the restriction that comes with this talent illustrates the fierce opposition between the followers of Kellos and the adherents of Nordros, the master of cold and death (and I bet you can guess what that talent does!). A player who purchases the Flames of Kellos talent is making a clear statement about their character’s beliefs, values, and place in Terrinoth. Justice of the Citadel is another talent that grounds characters in the world of Mennara. At a glance, the talent’s name reminds players that the Marshals of the Citadel uphold the laws of the Daqan Baronies. The mechanical effect illustrates the… direct approach that Wardens must often employ, as well as the steely resolve for which they are known and feared. A player might take this talent to reinforce their character’s background as a servant of the Citadel, or it might raise new questions if a character isn’t a known officer of the law. Is the character a disgraced former Marshal? Or could they be working undercover to infiltrate a nefarious dragon cult? That’s all for now for our peek at the new talents in Realms of Terrinoth. You’ll find lots more options in Realms of Terrinoth, including more talents, new skills, Heroic Abilities, gear (including magic items! ), and new species and careers. We hope this preview has you excited to start creating characters for your adventures in the Land of Steel. Just as importantly, we hope the talents in Realms of Terrinoth inspire you to devise new talents for your own home-grown settings. 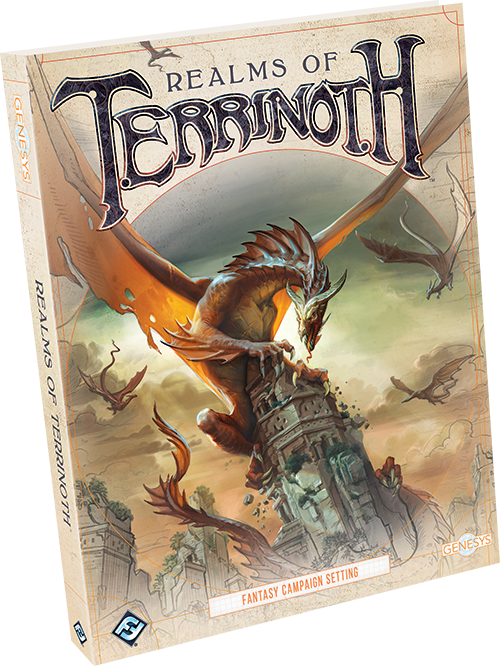 Flesh out your talents with Realms of Terrinoth (GNS03), available for pre-order now from your local retailer or our website!